Biking, Broadway, Bagels, Museums and Martinis! 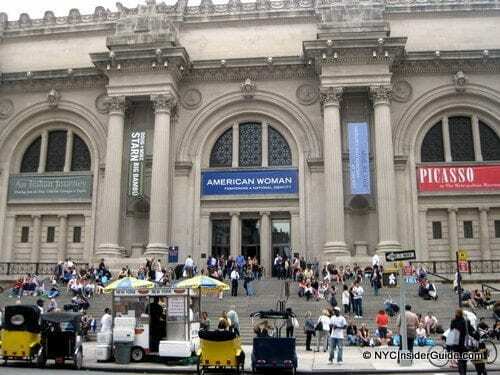 Our One Day in NYC Arts and Culture itinerary is a chock full day taking you through our famous Bagels and Lox, Central Park Biking, martinis at the Met, MoMA, Broadway, Times Square and more! Rich in history, filled with culture and arts, the noteworthy sights of the big city could take a lifetime to fully take-in. Though 24 short hours is hardly enough, one day in NYC is better than none. Make the most out of every New York minute with this culture-packed itinerary and get a real taste of the city. 8 A.M. Kick off your one day in NYC Arts and Culture itinerary with fresh-baked, hand-rolled, New York-style bagels from Barney Greengrass. An Upper West Side staple of Jewish delicatessen since 1908, this is a can’t-miss stop. The restaurant features a sit down menu, but with one day to spare, the grab-and-go window is recommended. 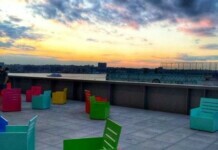 Grab a bagel, lox, and coffee and stroll a few blocks west to enjoy the views overlooking the Hudson River. (541 Amsterdam Ave at 86th St), www.barneygreengrass.com. 10 A.M. Time to work off your breakfast. 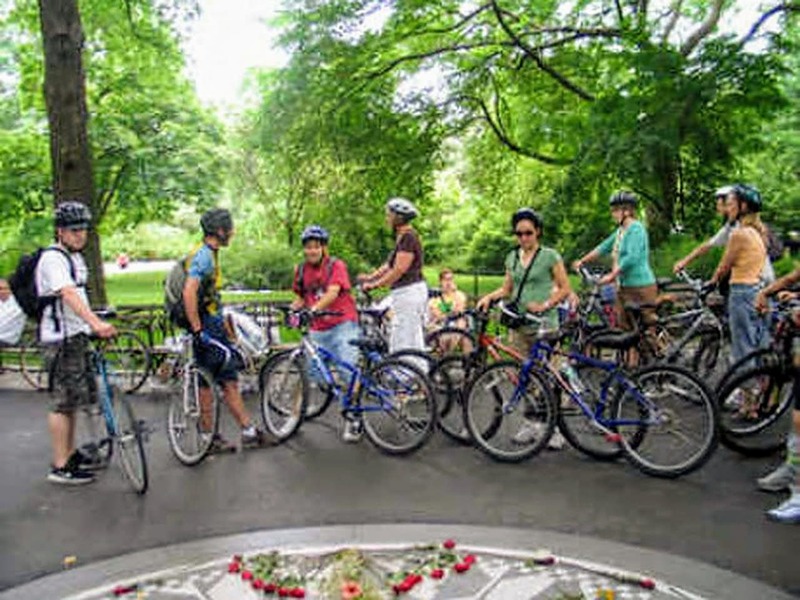 Book a two-hour expedition through Central Park Bike Tours which takes off at 10 a.m. and costs about $49 per person. The 5-mile tour takes you on a journey through Frederick Law Olmstead’s 1.3 square mile landscaped masterpiece. An experienced tour guide will guide you through Manhattan’s renowned landmarks including Strawberry Fields, Bethesda Terrace, Belvedere Castle and the Jacqueline Kennedy Onassis Reservoir. 12 P.M. A two-hour tour of the city will leave you thirsting for sights and hungry for more tastes of the city. 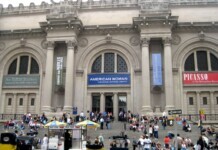 Appease all your senses by heading the Roof Garden Cafe and Martini Bar at the Metropolitan Museum of Art. Offering self-service, light fare and cocktails in an informal, outdoor setting with panoramic views of Manhattan, you’ll have the best of all worlds. Wrap up your lunch and well-deserved martini and tour the renowned art work and exhibits for an art lovers retreat. 3 P.M. After the Met, It’s out with the old, in with the new at the cutting-edge Museum of Modern Art. Across the East River, in Long Island City, you’ll find the MoMa PS1, one of the oldest and largest nonprofit contemporary art institutions in the United States. Known for its unique displays and edgy experimental art displays, the museum prides itself as a catalyst and advocate for new ideas, discourses, and trends in contemporary art. 6 P.M. For a taste of New York culture, take a walk through the crossroads of the world and immerse yourself in the sights and sounds of Times Square. After a little people watching, indulge your appetite with a world of international dining options on Restaurant Row before hitting the theater. If you’re lucky, you might even catch a glimpse of a Broadway star enjoying a pre-show bite. 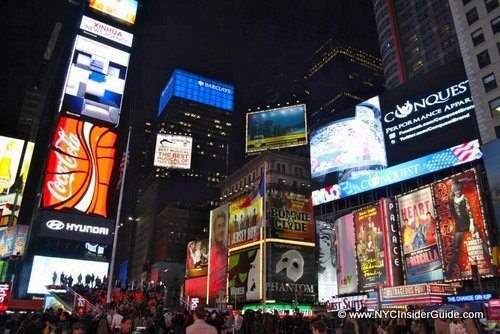 8 P.M. A favorite pastime for both tourists and locals, Broadway Shows are always a hot ticket. Hoping to catch your favorite musical in NYC? Companies like Telecharge enable you to reserve tickets online before you arrive in the city. With tickets in hand, you can sit back and enjoy the theater experience of a lifetime. 10 P.M. Keep your post-show buzz going with after-theater drinks and eats at Joe Allen. This old-school theater district staple is the hot spot for Broadway enthusiasts and stage-dwellers alike. If you’re up into the wee-hours of the night, remember New York is the City that never sleeps. Make friends with locals who can suggest dozens of bars, taverns and lounges to keep you up until the sun rises. (326 W 46th St b/w 8th and 9th Aves, www.joeallenrestaurant.com).